Thierry Noel is the founder and a managing partner of Amane Advisors. He is based in Paris and he is leading the firm to expand its global presence and provide additional services that to help our clients accelerate business growth in new areas. Before founding Amane Advisors, Thierry had distinguished international career for over 25 years (France, USA, UK) specialized in Water, Environment and Energy, holding senior management positions for strategy and development within multi-national corporate leaders in their sectors (Suez Environnement, Tyco, Enron) for markets such as Europe, North America and the Middle East. Experience acquired in his early career in France and the UK in the administration and management of water treatment systems, water supply and sanitation brings business skills and an understanding of the constraints involved in the implementation of innovative solutions. Thierry is a graduate of the National Institute INA-PG (Agro) and holds a Masters in Finance from the London Business School. 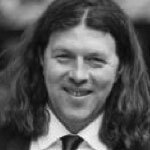 Geoff Gage is a Managing Partner at Amane Advisors. 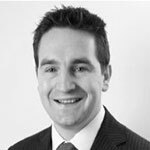 He is based in Oxford in the United Kingdom and serves clients across the water sector, with a focus on strategic and operational topics. 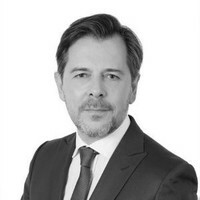 Christophe Guillet is the partner for the GCC region at Amane Advisors. He is based in Bahrain and his activity is focused providing greater support to public and private partners to help accelerate the uptake of PPP in the water sector. During his 25 year international career (France, China, Brazil, Africa, Italy, Poland, Saudi Arabia & GCC countries) in the fields of Water and Solid Waste, Christophe has held positions as VP International Business Development in the water sector (Saur group with main activities in Europe, Africa and Middle East), Project Director in Solid Waste (MTB, landfill, sorting plant, WTE) and as Board Director for several joint ventures/water companies in Europe and Saudi Arabia. Christophe also has strong project management experience with large projects managed through different business models (EPC, BOT/BOO, DBOM, etc.). His experience and water sector network in the GCC Region represents a valuable addition to the Amane Advisors’ Team. Alex is a Managing Partner at Amane Advisors in China. He has more than 25 years of experience in international environmental and energy related technology transfer and promotion to the Chinese market. Alex was founder of McWong Environmental and Energy Group, a US water company doing business in China for more than 20 years. Under his leadership, McWong contracted over 200 environmental projects in China and its client included many Fortune 500 companies. Alex also provided a platform for environmental and energy-related companies to connect with China, including technologies, equipment, and services, China business development, M&amp;A, market research and consulting. Alex also serves as Vice Chairman of Guozhen Environmental Protection and Energy, board member of American Tire Corporation, and Vice-President of Alanco Environmental Resources. 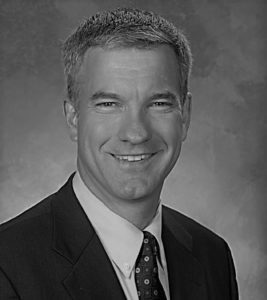 Bill Malarkey is Amane’s managing partner for the North America region. He is based in Philadelphia and advises clients in a variety of segments across the water sector. Bill has over two decades of experience in international water and infrastructure markets, particularly in the areas of strategy development, mergers & acquisitions, public-private partnerships (P3), corporate and project finance. 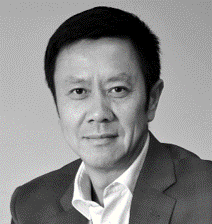 Prior to joining Amane, he held senior management positions in strategy/corporate development with Severn Trent – North America, American Water, Thames Water and RWE. In addition, Bill also headed the Water & Industrials investment banking practice group at Boenning & Scattergood, Inc. He had previously worked as a management consultant in A.T Kearney’s Utilities practice.